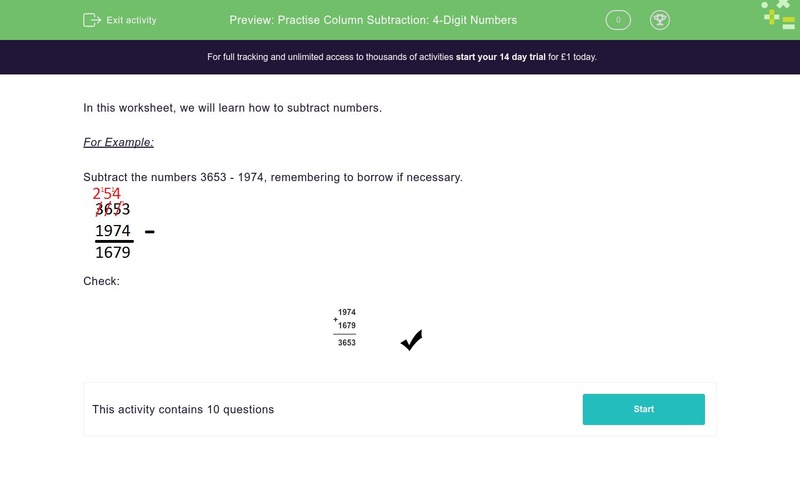 In this worksheet, students subtract four-digit numbers using columns with borrowing if necessary. In this worksheet, we will learn how to subtract numbers. Subtract the numbers 3653 - 1974, remembering to borrow if necessary.